Since I’m summoning all the warm weather vibes I can right about now, I wanted to share a website launch that featured a wine to put us all in the summer spirit. 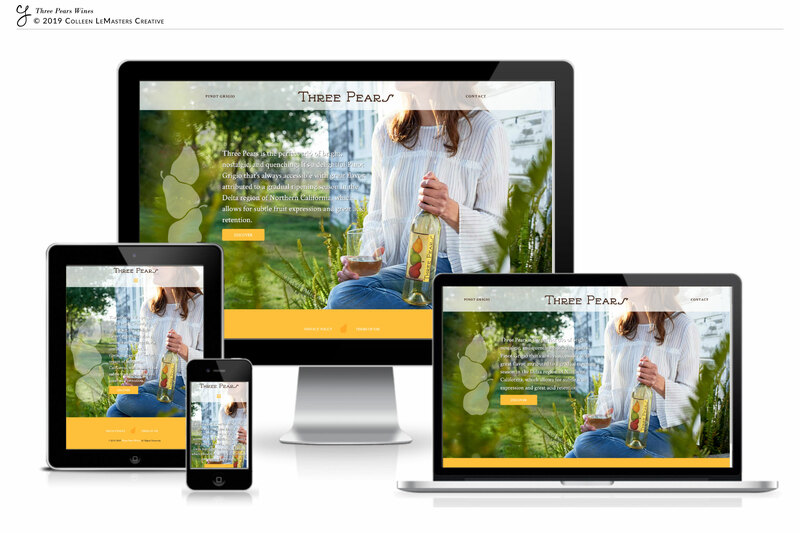 Three Pears Wines is actually a website for which I can’t take full credit for creating— I collaborated with Sara Lucas Design, with whom I love working. She and I just jive and I dig her creative style (plus, we get each other’s jokes— bonus). She took the design guides we were given and translated them into a bright and fresh website look that was perfect for a Pinot Grigio. With designs in hand, I picked up the ball and got my code on and the rest is digital history. Honestly, when I look at the site, I just want to sit in an Adirondack chair on a porch somewhere and feel warm sun on my face. Seriously. Enough with the rain! Check out our handy work below.